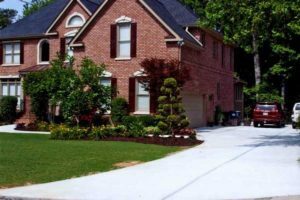 Make a stunning first impression and add some curb appeal to your home with one of these design touches. 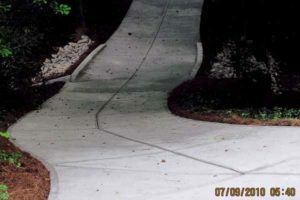 Concrete Solutions of Atlanta specializes in decorative concrete driveways. We offer colored concrete, stamped concrete, decorative inlays, exposed aggregate, and custom paver driveways. 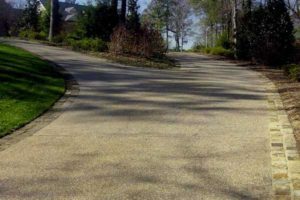 Two methods used to integrally color concrete include liquid and granular pigment. Most concrete plants use a liquid color machine to batch color and then add the liquid color to the truck before it leaves the plant. Granular pigment is added to the trucks when it arrives to the job site. Colored concrete gets sealed with a solvent based, non yellowing sealer to preserve the color and protect the surface of the concrete against stains. Slip resistant additives can be added to the sealer to gain traction, especially around patios and pool decks. Install a decorative apron in stamped concrete, brick, cobblestone, flagstone, bluestone, or pavers. 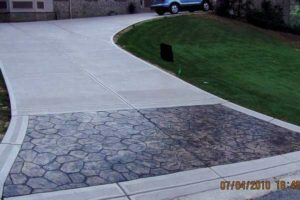 Stamped concrete aprons are typically installed at the same time as the driveway, while the other options for decorative aprons will take another day to install the material. 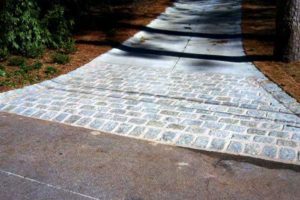 The material chosen will require a concrete sub-base so that the new brick, stone, or pavers will have a solid base to be set on. 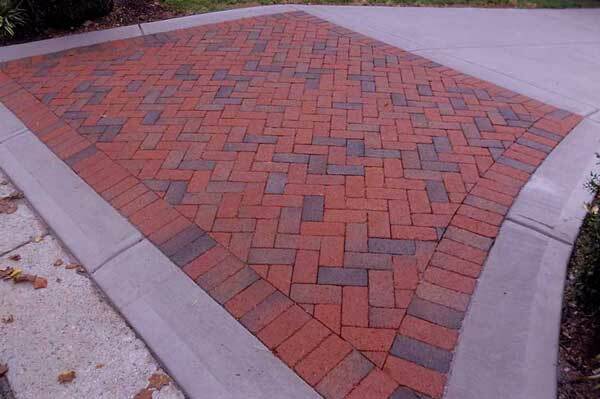 Masonry and pavers can also be sealed with a solvent based, non yellowing sealer. Adding sealer will deepen the color and provide added protection from stains. Stamped concrete provides a low maintenance alternative to masonry and pavers. Integral color, which is mixed throughout the concrete is placed and smooth troweled. 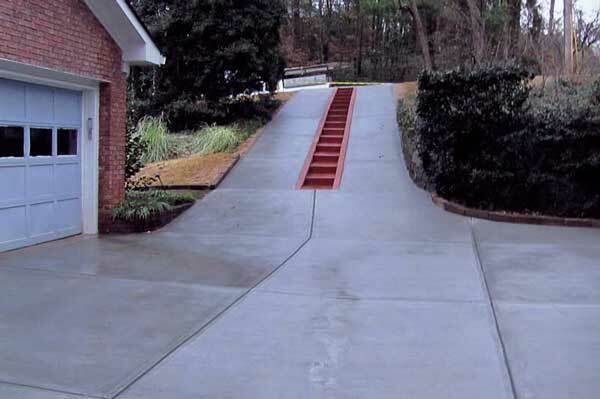 This integral color will be the base color of the concrete. Next, a colored antiquing release agent is broadcasted over the surface to prevent the concrete from sticking to the stamps, while also adding a secondary color to create a modeled appearance. 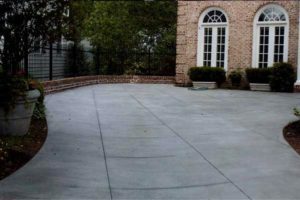 Colored stamped concrete gets a solvent based, non yellowing sealer applied along with a slip resistant additive to preserve the color and protect the surface of the concrete. 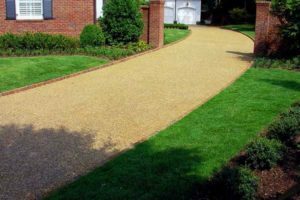 A well maintained attractive driveway improves the overall look and value of your home. 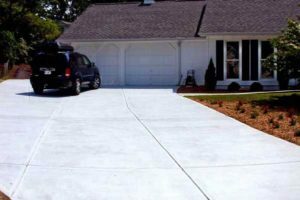 Homeowners take great pride in exterior of their home, and concrete driveway indicates quality construction from first glance. The addition of a brick inlay, colored or stamped concrete, exposed aggregate, or paver driveway system will create a more inviting image for your home. Still unsure about how to enhance the exterior of your home? Let our experts lead the way.